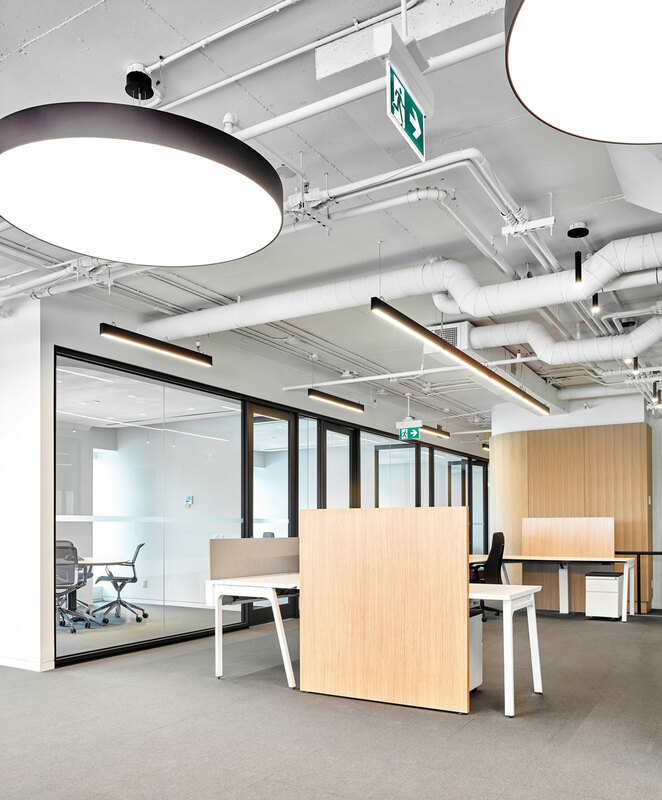 Situated at the top level of a 6-storey office building, this 5000 sf office suite opens to a panoramic view of Downtown Toronto, the focal point being the clock tower of the historic North Toronto railway station. 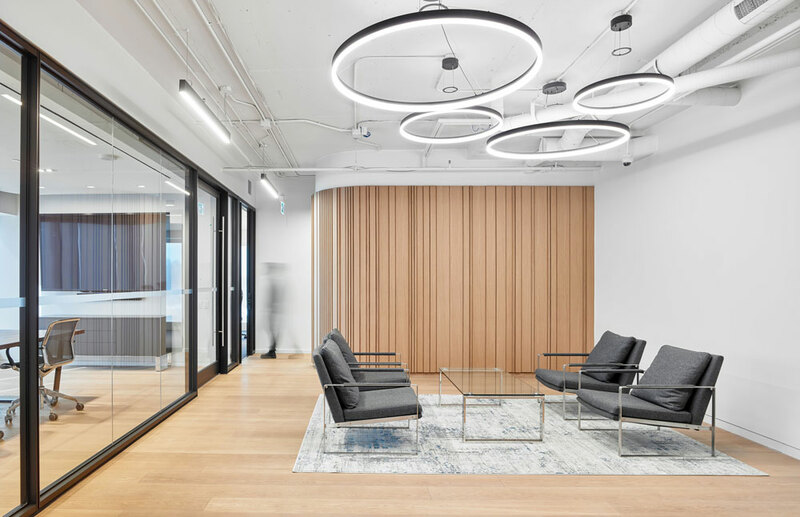 The use of natural white oak wall panels and flooring in conjunction with an exposed whitewashed concrete ceiling and suspended light fixtures creates an airy, light-filled procession into the suite and view of the Toronto skyline beyond. 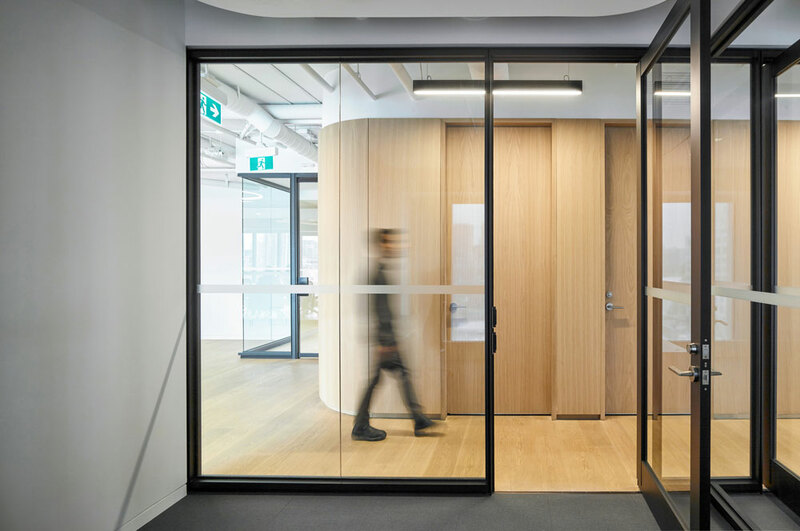 Glazed partitions are framed in black, providing a clear delineation between the public and private spaces, and visually leading the visitor towards the offices and remainder of the suite. 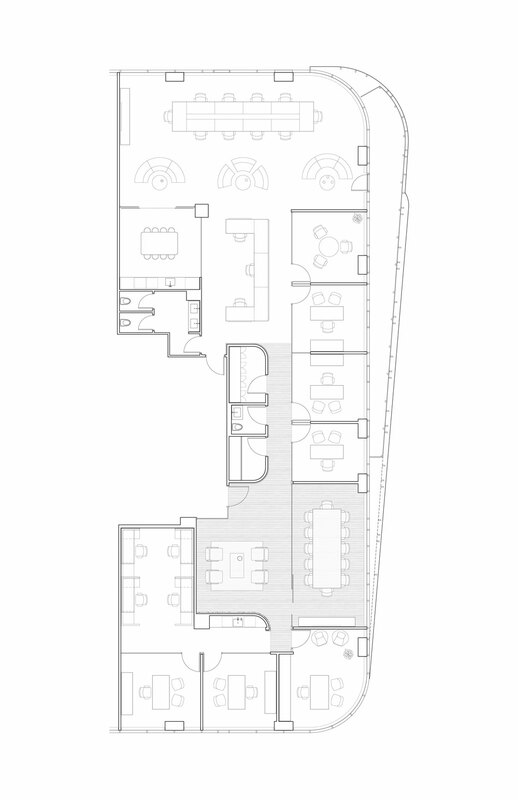 This suite is laid out to provide a variety of work areas, ranging from open-concept collaborative spaces to private offices, meeting rooms and lounge/dining areas. Curved wood corners provide a streamlined transition from the entry and reception area to the remainder of the suite. The careful use of texture to various wall elements provide an intimate scale of depth, light and shadow. 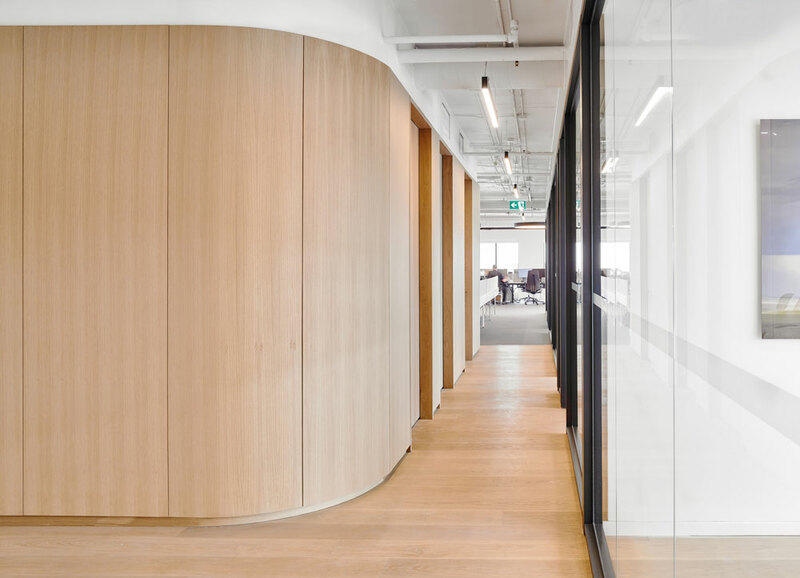 An articulated wood wall in the reception area creates a striking visual contrast to the flanking glass partition. A black mosaic tile backsplash installed on the inside curve of a wall provides a continuously changing shimmering effect of light and shadow as the quality of light throughout the day changes. The predominantly open-concept spaces are softly demarcated through 50” wide suspended circular lights, which create nodes for congregation without the limitations of enclosure. The lightness and transparency of design is further reinforced in the axis of private offices along the main corridor through a series of perpendicular connective glass partitions. This transparency visually extends the space of the corridor and allow for lightness and continuity in even the most narrow and enclosed moments of the plan.